On August 23rd The Muve Group will team up with the REI (Real Estate Investor) Expo to host their yearly real estate training. With 9 years of experience under their belt, The Muve Group understands the value of real-life real estate knowledge (not the by-the-book basics). 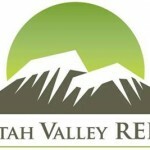 With this in mind, they created a training that offers a glimpse into their inner most workings while, at the same time, providing a chance to network with people from within the SLC real estate world. The Muve Group, in conjunction with the REI (Real Estate Investor) expo, will be organizing a bus tour through all of Muve’s latest properties to give an inside look at their remodels, including the genius behind their signature spatial design. Make sure you don’t miss out on one of the biggest networking and training events to hit Utah this year. Make sure to visit REI Expo today to register and use promo code MUVE to get a 20% discount. Check out the link to past trainings to get a feel for this exciting experience and get signed up. Tour de Muve V2 from The Muve Group on Vimeo.